Here is a list of every song NIN has played and how many times per tour. This list includes performances of the band intended for an audience. For the tours starting with 1999, this list is essentially accurate. 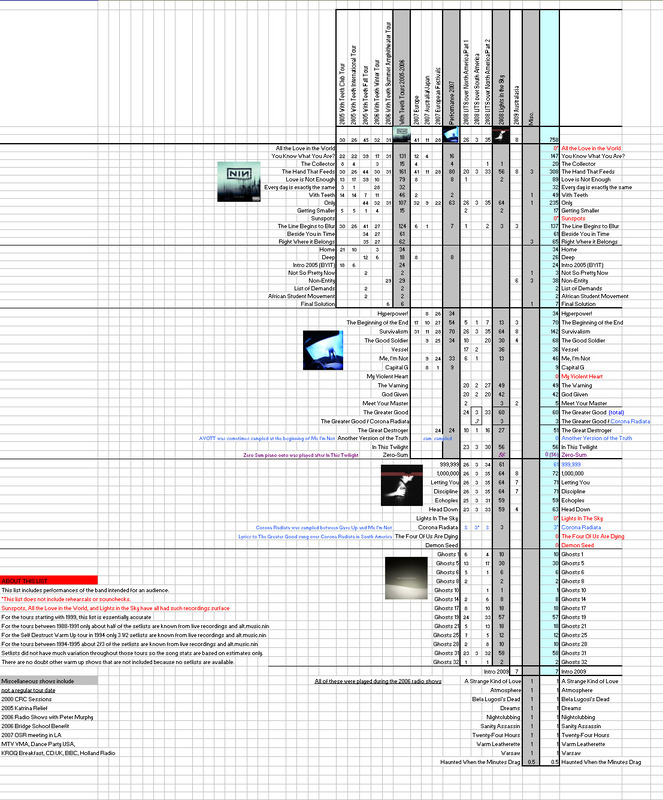 For the tours between 1988-1991 only about half of the setlists are known from live recordings and alt.music.nin. For the Self Destruct Warm Up tour in 1994 only 3 of 10 setlists are known from live recordings and alt.music.nin. 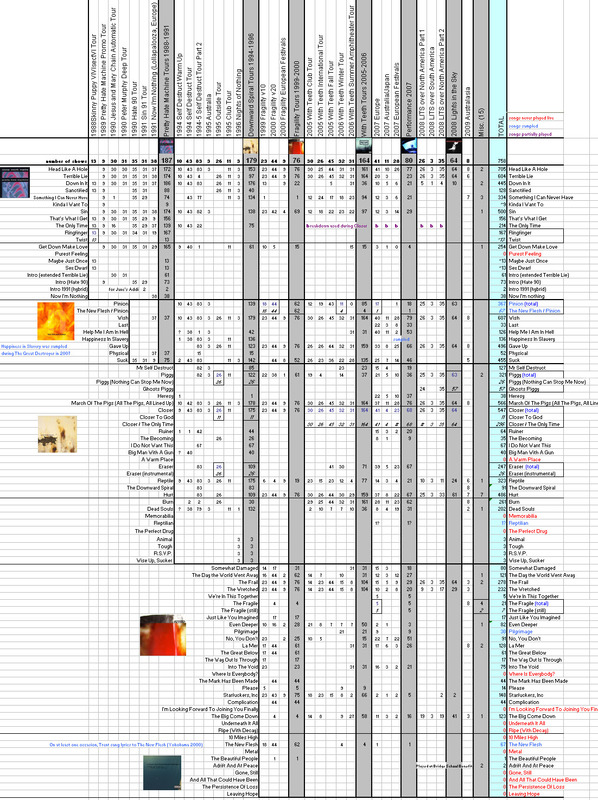 For the tours between 1994-1995 about 2/3 of the setlists are known from live recordings and alt.music.nin. Setlists did not have much variation throughout those tours so the song stats are based on estimates only. There are no doubt other warm up shows that are not included because no setlists are available. Please visit each tour page for setlists. Tours between 1988-1995 have not yet been updated to account for all the setlists I have been finding on alt.music.nin, but they will eventually. 2000 CRC Sessions, 2005 Katrina Relief, 2006 Radio Shows with Peter Murphy, 2006 Bridge School Benefit, 2007 OSR meeting in LA, MTV VMA, Dance Party USA, KROQ Breakfast, CD:UK, BBC, Holland Radio Show.